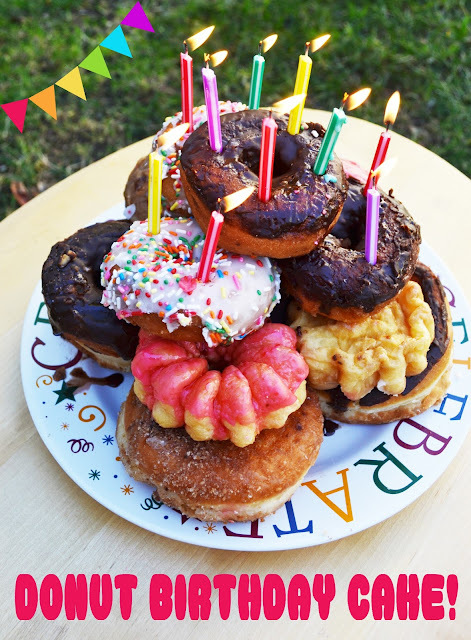 Polkadots on Parade: Donut Birthday Cake! In our house DONUTS are their own FOOD GROUP. ...it's got to be the DONUT BIRTHDAY CAKE!! We look forward to it every time there's a birthday! We just pile up a dozen donuts! It works best if they're all roundish. 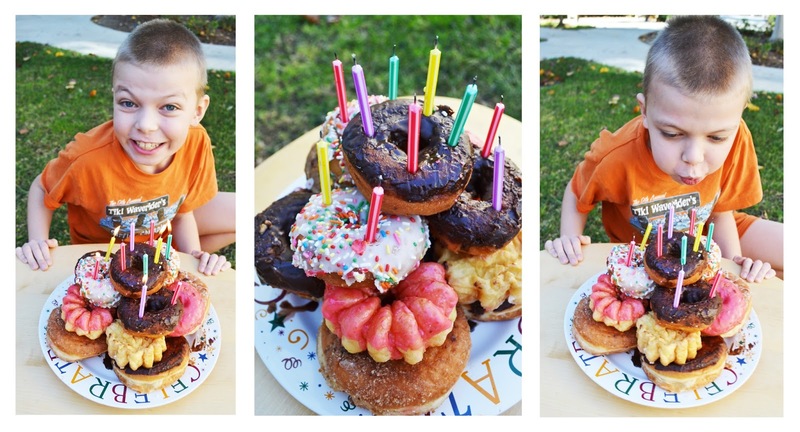 Nothing says Happy Birthday like your favorite donut! This is a great idea to make birthdays even better! This would be a great way to start the kids Birthday. I am a new follower! I found your link on Flamingo Toes. I would love for you to link up to my weekly linky party Fluster Muster on Wednesday’s @ http://www.FlusterBuster.com. How fun! My daughter would love this! I'll have to keep this in mind when her birthday comes - so much easier than a cake! 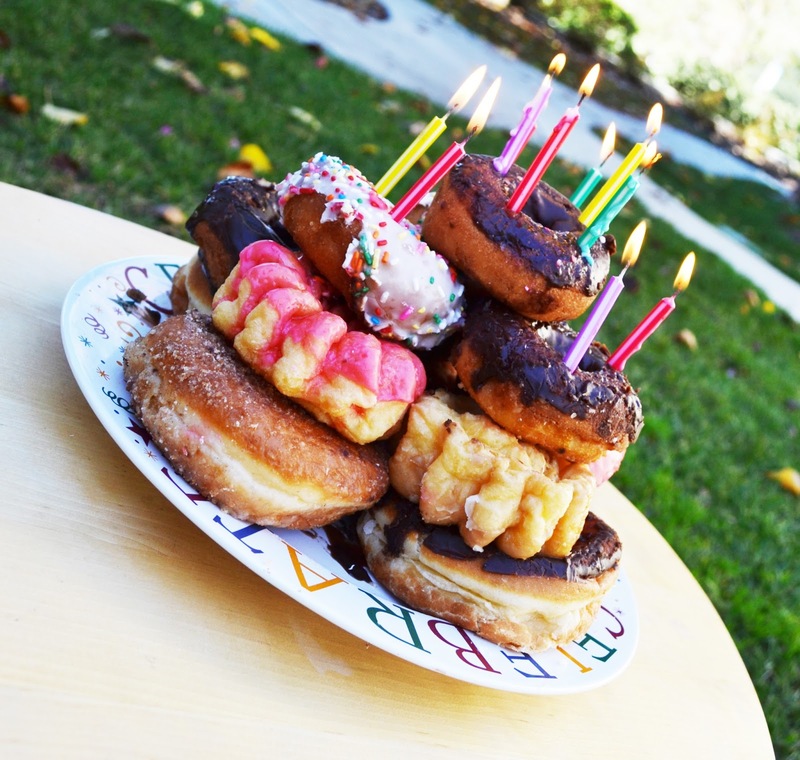 Can't go wrong with a donut cake! Happy Birthday to your little guy. Adorable :) I just gave you a little shout out on the FB page! I've seen people do one donut, or pancakes or something, with a candle in it. But, this has way more impact! Really cute, I'll have to remember it when BF's birthday rolls around. So fun!! I'd love something like this for MY birthday :) I'll notify the husband--thanks for sharing! Great idea for a birthday breakfast! These are so much fun! Love how colorful they are. Thank you for sharing at the linky party.